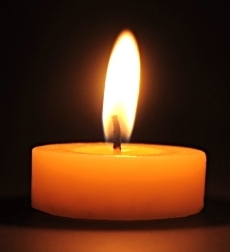 Maria Sefferova (Nee: Hanzesova), 80, of Bayonne, entered into eternal rest at home on Wednesday, September 26, 2018, with her loving family by her side. A homemaker, Maria was born in Lackova, Slovakia, and has resided in Bayonne for the past few years. Maria was predeceased by her parents, Jakub Hanzes and Jozefa Hanzesova. Left to cherish her memory are her husband, Vojtech (of Slovakia); her daughters, Maria Malichova and Ludmila Abelova, her son, Vladimir Hanzes and her three adored grandchildren, Patrik, Erik and Michael. Relatives and friends are invited to attend a memorial mass in Maria’s honor on Saturday, October 13, 2018 at 10:00 a.m. from the Parish of Saint John Paul II at Our Lady of Mt. Carmel Church, 39 East 22nd Street, Bayonne.